One way tenants can move to the front of the line in a competitive market is by understanding their full credit and criminal histories, and ensuring that the information is current and accurate. When vacancy rates fall, it doesn’t just impact the rent of the tenants in the area. It can also make it harder to find rental housing in the first place. With vacancy rates below 4 percent in King County, landlords can be much more discerning when it comes to who is qualified to rent their units. When renting out a unit, the landlord is required to provide a minimum screening criteria checklist to applicants (RCW 59.18.257). It details which information will be accessed to conduct the tenant screening, what criteria may result in denial of the application, and the name and address of the consumer reporting agency if a consumer report is used. If denied rental, the applicant has the right to obtain a free copy of his or her consumer report, and to dispute the accuracy of the information in the report. The purpose for this legislation, which was supported by the rental housing industry and tenant advocates, was to provide a prospective renter with the ability to determine whether his or her credit and criminal history matches the landlord’s minimum standards for renting the property. Prospective tenants armed with knowledge of their up-to-date credit and criminal backgrounds will save money on application fees if they know that their history would result in denial, and will be able to apply for tenancy more quickly when the right units become available. Knowing your credit and criminal history also becomes useful if a landlord is not receiving a background check that provides full credit details. Not all credit reports are created equal, and many products available to a landlord will only provide a “pass/fail/caution” result, without giving the landlord specific information on the prospective renter’s individual credit accounts, or other types of revolving and installment accounts. If a landlord gets a result back that says fail or caution, a prospective renter with full knowledge of his or her credit background has the opportunity to explain what’s going on, why he or she may be listed as a candidate for denial or cautionary approval, and demonstrate to the landlord that he or she is capable of paying rent without risk. A degree of judgment should also be withheld when considering how your raw credit score impacts your ability to qualify for a rental. While many landlords will use a minimum credit score as a baseline for considering a prospective tenant, the fact is that raw credit numbers do not always tell an accurate story of someone’s ability to pay rent. A bankruptcy will have a huge impact on someone’s credit score — a not-uncommon scenario in today’s housing market. But a bankruptcy that is three years old may also indicate that since declaring for bankruptcy, the individual has moved forward and had no delinquent accounts, collections or other negative scenarios that would indicate a financial risk to a landlord. If you’re a prospective renter facing such a scenario when searching for a rental and you feel that a low credit-score number is holding you back, check into your credit history and find out why your score is low. 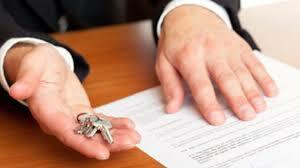 A landlord may state in their screening criteria that they require a credit score of 700 or higher. That doesn’t mean a prospective renter with a raw credit-score number that does not qualify shouldn’t have the opportunity to demonstrate that he or she would not be a financial risk as a new tenant.